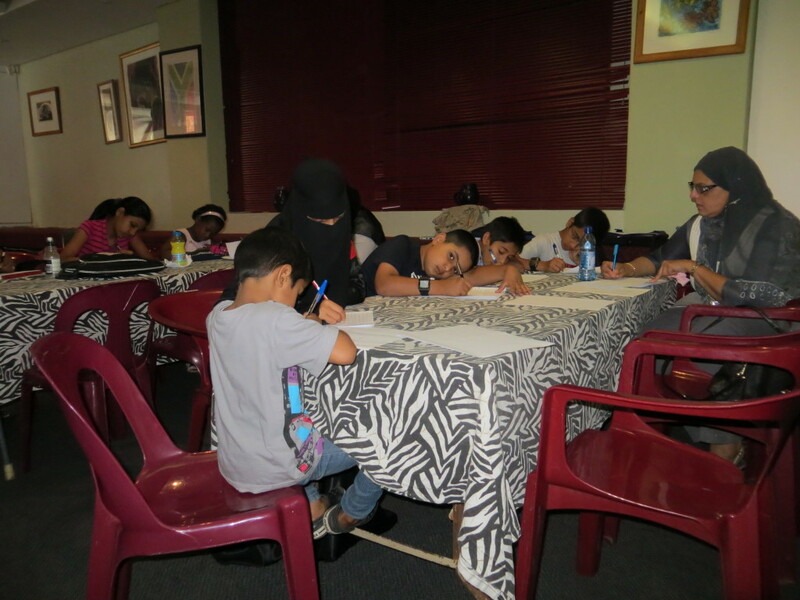 Felicity ran a Writing Marathon for all ages at the BAT Centre on Saturday 23rd of February. The mentors for both the junior club and the adult club were present. Veena Gangaram takes the children from 11.30 am, to 1.00pm on a Saturday and Detlev Diegel takes adults from 2.00pm to 4.00pm. Classes are held in the Mission Control Room with kind permission of the BAT Centre.